Last Friday the grade 1's were encouraged to BYOD in. I feel that allowing children to bring in their own devices will give them an opportunity to swap roles with the teacher. I also want my students to learn that their device can be used for so much more than just gaming. That it can be a learning tool that we can use in our classroom. For our first BYOD, our learning goal was for the children to bring their device in and be ready to share an appropriate game with another student or the class. Norms were discussed with the students about acceptable and safe use and a note was sent home to parents with expectations and a consent form. Please click on the link for the note that was sent home. BYOD note to parents (Thank you to Mrs. Martel for the parent template). Out of 40 students, 30 children brought devices in. The students that did not bring anything in were given a school playbook, an iPad or a computer to use. This was our first BYOD day and I wanted to get a sample of what the students had available to them so I could create future lessons to incorporate the devices they have from home. Unfortunately, I came down with the flu the night before BYOD day occurred, so I was unable to participate. My principal did take a few pictures of my students and I heard from other teachers and my students that it was a success. I am planning on having a questionnaire for the students to poll what everyone brought in and I will go from there with my planning. 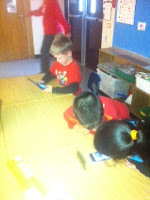 If I am going to encourage BYOD, I need to figure out how to use them to meet grade 1 curriculum expectations. 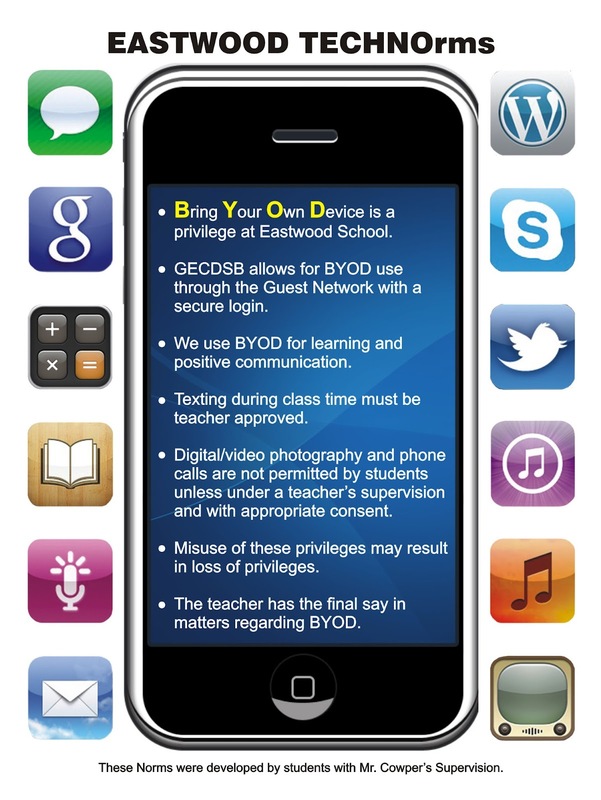 Have you participated in a BYOD day? If so, I would love to know how you are meeting curriculum expectations using your students' own devices. 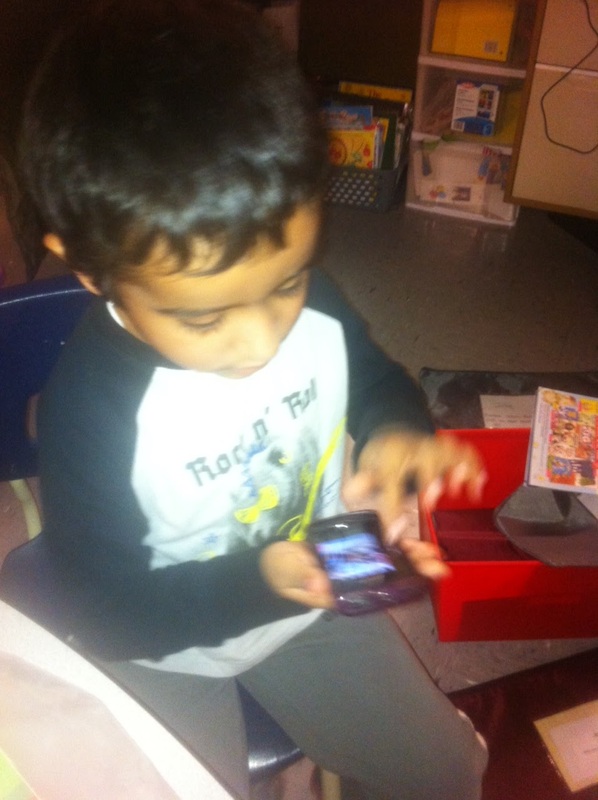 I was so excited to see that you are jumping into the world of BYOD! 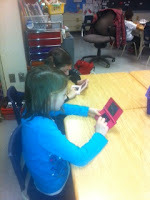 I have done 2 BYOD days this year and both were very successful. 17 of 20 students brought in their devices. The first time we were viewing a video on Canadian symbols and recording our thinking. This encouraged active listening and provided a recording of student listening. The second BYOD day was in January. Once again we used the devices as a way to record what we heard and learned but we also used it to learn about main idea and details. My students have really enjoyed both days. We have had no issues with theft or parental resistance and I look forward to our next BYOD day!